The years I spent in pri­vate prac­tice as a psy­chother­a­pist spe­cial­iz­ing in work with chil­dren pro­pelled me to become a children’s writer. My use of books as a ther­a­py adjunct evolved over time, as did my respect and even­tu­al awe for the pow­er of fic­tion as a change agent. My young clients intro­duced me to mid­dle-grade and young-adult nov­els. But it was a few years into my prac­tice before I start­ed to appre­ci­ate what sto­ries had to offer these kids. It start­ed when a nine-year-old excit­ed­ly brought me a mid­dle-grade nov­el and begged me to read it because, “It says exact­ly how I feel.” She, like most kids, had been strug­gling to find words to express her feel­ings. She was relieved to find the words right there on the page, and to rec­og­nize that her feel­ings were shared by oth­er chil­dren. When kids have words to express them­selves they can bet­ter com­mu­ni­cate their own. And when sto­ries show a way for them to appro­pri­ate­ly express those feel­ings, they begin to devel­op tools for their own expres­sion. But this was only the begin­ning of what sto­ries could offer. But when I tried using sto­ries, made up, or through pub­lished fic­tion, kids start­ed to make progress. Kids were riv­et­ed and they start­ed to make progress. They laughed and cried with the char­ac­ters. They offered advice to the char­ac­ters or asked what I would do to help in this, all with­out reveal­ing how and why they relat­ed to the pro­tag­o­nist. Sto­ries also offer dis­tance between the character’s and child’s strug­gles. The child lives vic­ar­i­ous­ly through the pro­tag­o­nists’ adven­tures and strug­gles, feel­ing what the char­ac­ter is feel­ing and, if the sto­ry is com­pelling enough, chang­ing right along with the pro­tag­o­nist. This made per­fect sense because, as a ther­a­pist I knew that change would not occur through intel­lect alone. Emo­tion­al growth requires engag­ing the emo­tions. And I saw that what the fic­tion­al child con­cludes about his or her problem—and how he or she moves for­ward, can become a road map for the real child. A great exam­ple of this is Kather­ine Patterson’s nov­el, The Great Gilly Hop­kins. 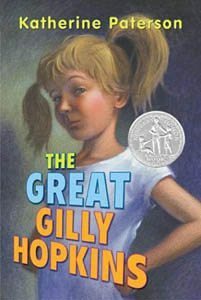 Gilly starts out as an oppo­si­tion­al child who refus­es to believe that her moth­er doesn’t want her and bucks the fos­ter care sys­tem with incor­ri­gi­ble behav­ior. Through the firm hand and lov­ing kind­ness of her new fos­ter moth­er, Gilly’s behav­ior changes and when she final­ly has a chance to spend time with her birth moth­er, she comes to under­stand and accept her mother’s lim­i­ta­tions. I would ask my client to do role plays in which we’d act out pos­si­ble con­ver­sa­tions between Gilly and her fos­ter mom, Mrs. Trot­ter so that my client could express her anger about mov­ing from fos­ter home to fos­ter home giv­ing my young client the oppor­tu­ni­ty to express her feel­ings about hav­ing so many fos­ter place­ments. Then we’d role play Gilly con­vers­ing with her bio­log­i­cal moth­er. My client would play both roles and when I played the moth­er I’d make sure “Gilly” was grant­ed per­mis­sion to go on with life and be hap­py. Anoth­er sto­ry that I found par­tic­u­lar­ly help­ful with adop­tion issues was The Last Bat­tle, by C.S. Lewis. Adopt­ed chil­dren who have lived with their bio­log­i­cal par­ents and/or have had mul­ti­ple place­ments will often reject their new par­ents even though the par­ents’ have an abun­dance of love to offer. The Last Bat­tle offered me the oppor­tu­ni­ty to help kids see that no one could make them, or help them, take in what was offered. 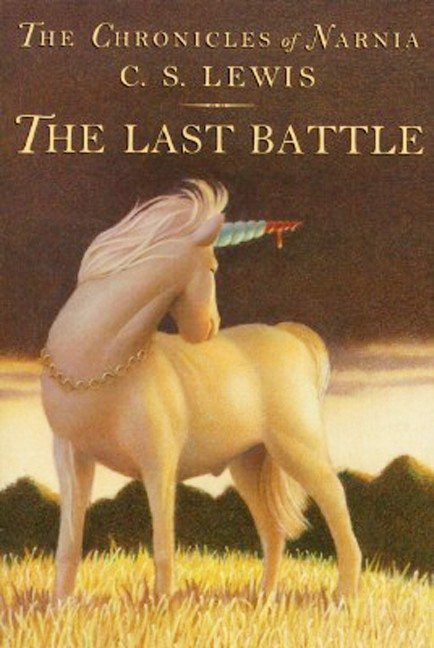 I would share the scene in which Lucy had died and found her­self back in Narnia—a per­fect Nar­nia. Every­one was hap­py except for a lit­tle group of gnomes who seemed to be suf­fer­ing ter­ri­bly. Lucy begs Aslan (a rep­re­sen­ta­tion of Christ) to for­give their offens­es and let them enjoy this heav­en. Aslan takes Lucy to them. He offers them beau­ti­ful trays of fruits and nuts and var­i­ous meats. They reject it, see­ing it as dog dung and they con­tin­ue to starve. They com­plain of the cold so he offers them furs, but they per­ceive the furs as por­cu­pine nee­dles. The offers and rejec­tions con­tin­ue until Aslan turns sad­ly to Lucy and reminds her that we all have free will and no one can make us take the good we are offered. Time and again, my young clients would, them­selves link this to how they were reject­ing their adop­tive par­ents. They would sob. They knew that deep inside they longed for the love and dis­ci­pline their adop­tive par­ents offered. These ses­sions with Lewis’s book proved to be a turn­ing point for sev­er­al kids. I no longer prac­tice psy­chother­a­py. Instead I write. My clin­i­cal expe­ri­ence con­vinced me that what I want­ed to do was cre­ate of sto­ries with the pow­er to change lives. My two pub­lished books include Saint Train­ing and Down from the Moun­tain. These two, and a third in progress, are about issues of social jus­tice, and the young lives affect­ed by these issues. They help to devel­op a social con­science. Because of my pro­fes­sion­al back­ground, I’ve also been giv­en the oppor­tu­ni­ty to cre­ate and write social/emotional guides for teach­ers, par­ents and coun­selors to use with spe­cif­ic books — pic­ture books through YA—that will fos­ter dis­cus­sion, iden­ti­fy and label feel­ings, and will pro­mote pro-social val­ues and cross-cul­tur­al appre­ci­a­tion. This is excit­ing for me because it’s anoth­er avenue to help kids grow through fic­tion. I’m for­ev­er grate­ful to the young clients who intro­duced me to the nov­els they loved and in doing so, placed in my hands pow­er­ful and per­son­al agents of change. 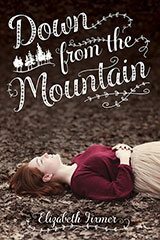 Eliz­a­beth Fixmer is the author of two nov­els for young read­ers: the humor­ous mid­dle grade Saint Train­ing and the YA Down from the Moun­tain. She became pas­sion­ate about writ­ing for chil­dren dur­ing her twen­ty years as a child psy­chother­a­pist in Den­ver. She then returned to school and obtained a sec­ond master’s degree, an MFA in Writ­ing for Chil­dren and Young Adults from Ham­line Uni­ver­si­ty. She lives in Wis­con­sin. For more infor­ma­tion please vis­it her web­site. What an excel­lent arti­cle, Eliz­a­beth, and a reminder of the pow­er of books for ALL ages, espe­cial­ly chil­dren. Thanks for this won­der­ful arti­cle. It’s fas­ci­nat­ing to hear how your career evolved, and your own nov­els show your sen­si­tiv­i­ty to chil­dren and their emo­tion­al jour­neys. I look for­ward to the next nov­el!